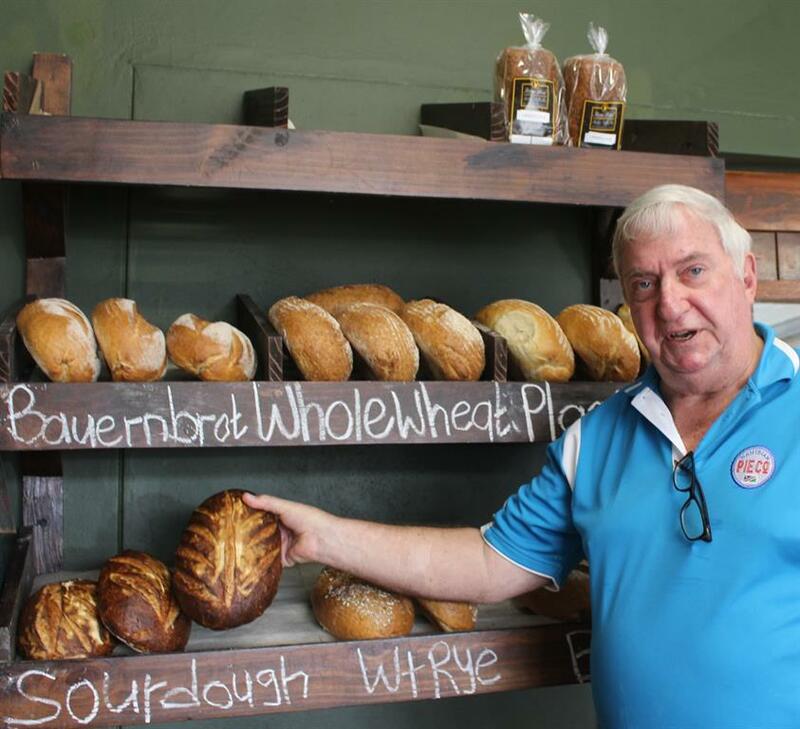 Uwe showing off some of the bread products baked and on sale at Artisan Bread Bakery. Photo Otis Finck. Otis Finck - Uwe and Henrietta “Hetta” Bachmann established Artisan Bread Bakery and Coffee shop in 2011. Uwe hails from Swakopmund and formerly worked in the fishing industry. He later joined the retail industry with Spar for more than 17 years. Henrietta, a qualified bookkeeper, hails from Usakos. Uwe discovered his passion for baking after relocating to South Africa in 1994. He joined a bakery school in Blackheath, Cape Town, where he learned the basics of baking techniques under the watchful eye of the late Bill Fann who worked as a pastry chef for the Sultan of Brunei for 38 years. Uwe became a fully taught baker and brought his acquired know how to Namibia in 2010. Intentions to retire did not last long as the baking bug bit him and he undertook a study on traditionally practised bread baking techniques used in the Middle Ages over 500 years ago. The dough mixture was subsequently diversified to white whole wheat and rye sour doughs. Uwe initially baked five breads a day. This number increased to 500 in 9 months. Supermarkets showed a lot of interest and this led to the acquisition of a bakery in Walvis Bay. 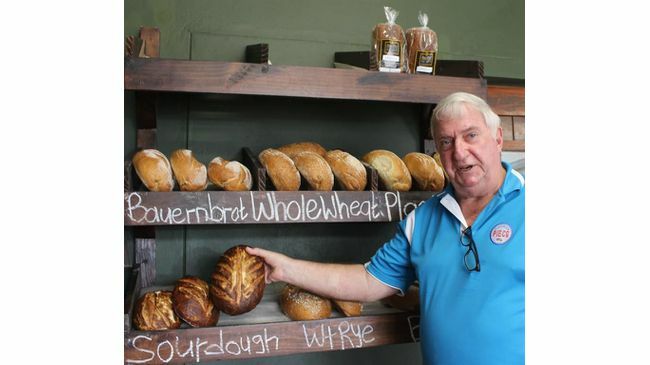 His youngest son, Uwe Jnr (also a passionate baker), attended an artisan bread baking course in Cape Town, moved to Namibia and joined his parents in the business. Uwe’s eldest son, Werner, also joined his parents and they investigated the possibility of opening a pie factory as well as the cost implications of such a move. 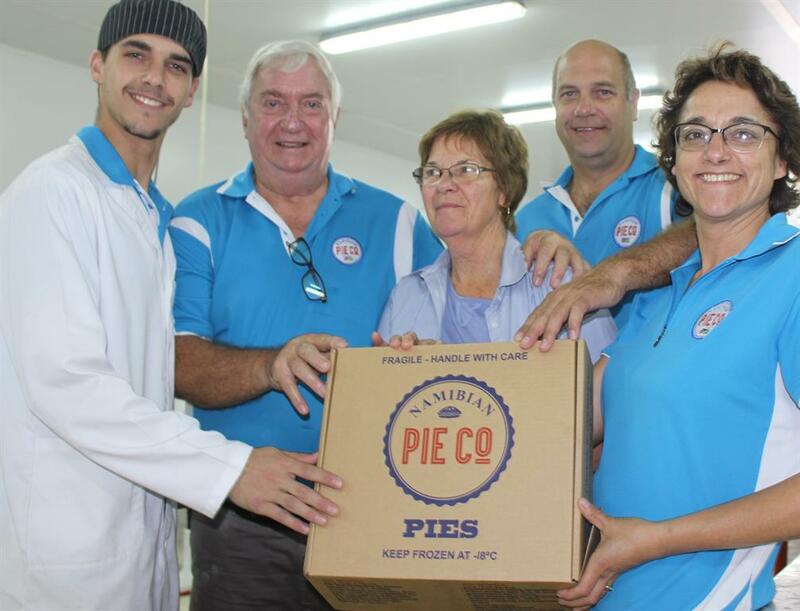 Namibian Pies was born after a visit to Vredenburg in South Africa. Acquiring the building, establishing the bakery and pie factory came at a cost of N$8 million. 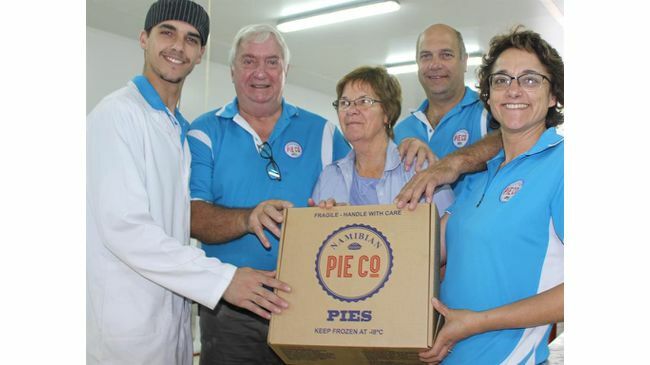 A listeriosis outbreak in South Africa prompted the Bachmann’s to speed up the opening of Namibian Pie Company. Twenty two jobs were created and after one month of intensive training the first 200 sausage roll pies were produced. This showed that the country is capable of producing excellent quality rivalling any product from South Africa in terms of product taste, appearance and price. Pies produced are of high quality with the cheese griller which constitutes 40% percent of total sales and pepper steak pies being the top sellers. According to Uwe there is also great interest from a major supermarket group that wants to support wholly Namibian produced products. 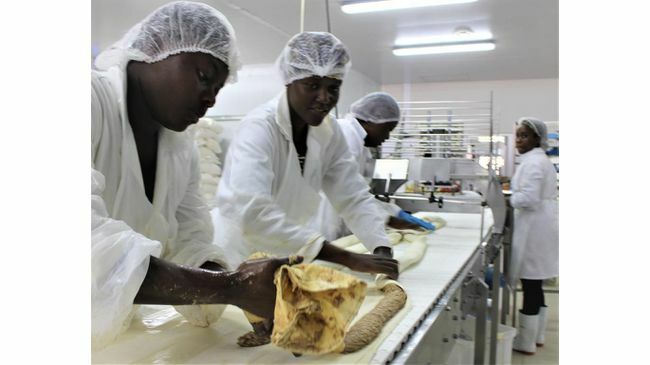 This pending deal could result in Namibian Pies producing 100 000 pies per month, and will again enhance job opportunities and create additional spin-offs. 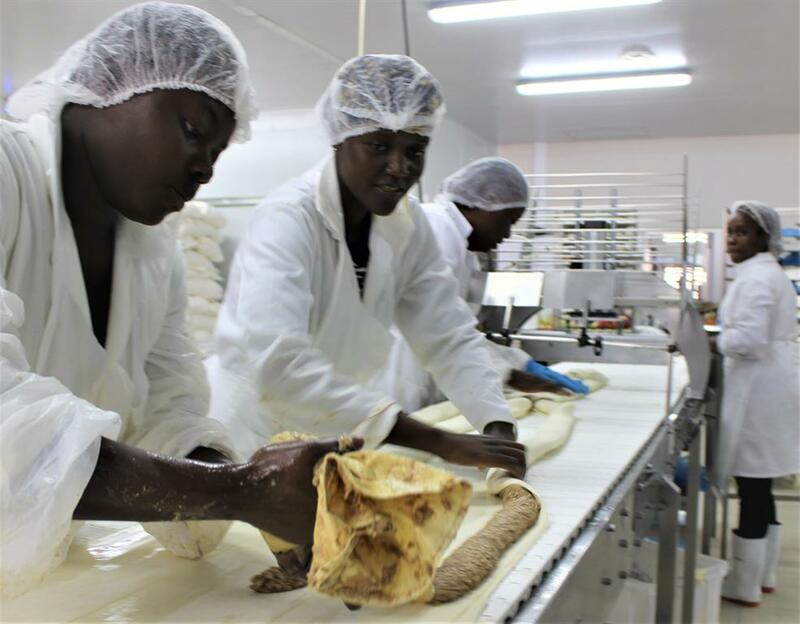 Namibian Pie Company is fully Hazard Analysis Critical Control Point (HACCP) compliant and employs a fulltime inspector who test products manufactured by the company. All staff members were also HACCP trained and issued with certificates. Meat fillings for all pies are obtained from a local butchery which also supplies the cheese grillers. Plans are well advanced to expand the pie factory with 400 square metres by mid-2019. The product range will also be diversified to include samosas and nuggets, and create another 25 jobs. Nine persons were also employed in the bakery and trained which produces and assortment of top quality breads, baguettes, ciabattas, brötchens, cookies and rusks. A Spanish chef and four personnel operate the coffee shop. Six meranti wooden doors which came with the original building were converted into tables and a shop counter. Seapride Namibia distributes Artisan Bread Bakery products in frozen form to lodges all over Namibia. Due to the prohibitive cost of energy Artisan Bread Bakery makes use of two diesel powered ovens. A Rodes Kook-E-King machine was purchased in November 2018. It can produce up to 1 250 kg of cookies per day.